The Rotary Club of Durham Great Bay in cooperation with The University of New Hampshire and the Town of Durham will host the return of the beloved Independence Day Celebration and Fireworks this July on July 3, 2018 at the Wildcat Stadium. The evening will host a number of activities and events for the community starting at 6 pm with the grand finale of fireworks planned for dusk (about 9:00 pm). More information to follow. Stay tuned to our Independence Day Celebration website page and facebook page for more details. The Rotary Club of Durham Great Bay continues to seek sponsors for this event with the goal of bringing back this tradition for years to come. 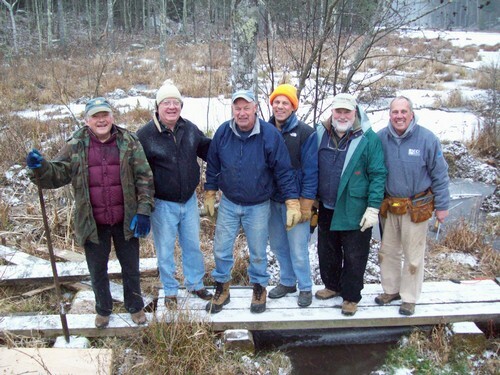 Rotary members help keep trail bridges safe and passable! For the second year members of Durham Great Bay Rotary have helped to keep the Sweet Trail safe for the community to enjoy. The Sweet Trail runs for four miles from Longmarsh Road in Durham, NH (off Route 108) to the Great Bay Estuary in Newmarket, NH. The beauty of this trail runs through many areas of wetlands with at least three bridges that are necessary to keep humans and pets alike from getting stuck in the muck of the wetlands. 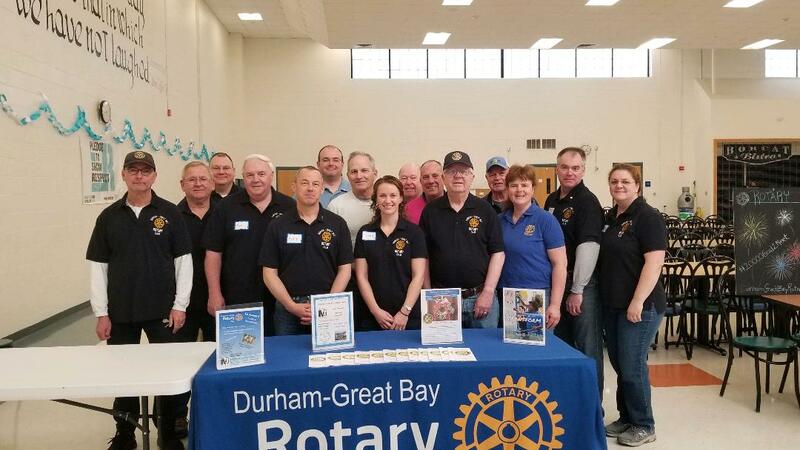 The Durham Great Bay Rotary in conjunction with other recreational and conservation groups in Durham volunteer their time and equipment to replace and repair the wooden planks that are the core of the bridges. Check out more information about the Sweet Trail on the Durham Parks and Rec web site. Rotaract clubs bring together people ages 18-30 to exchange ideas with leaders in the community, develop leadership and professional skills, and have fun through service. Recently the local UNH Rotaract Club and the Durham Great Bay Rotary Club had a great collaboration for Halloween. The UNH Rotaract Club organized and put together local routes for Trick or Treating for their members with a twist. Instead of looking for candy for themselves, members asked for non-perishable food items to help the Dover chapter of End 68 Hours of Hunger. End 68 Hours of Hunger helps kids that might otherwise leave school on Friday and not have anything to eat until back at school on Monday. With help from End 68 Hours of Hunger these children (and their families) are able to have meals to bring home for the weekend. 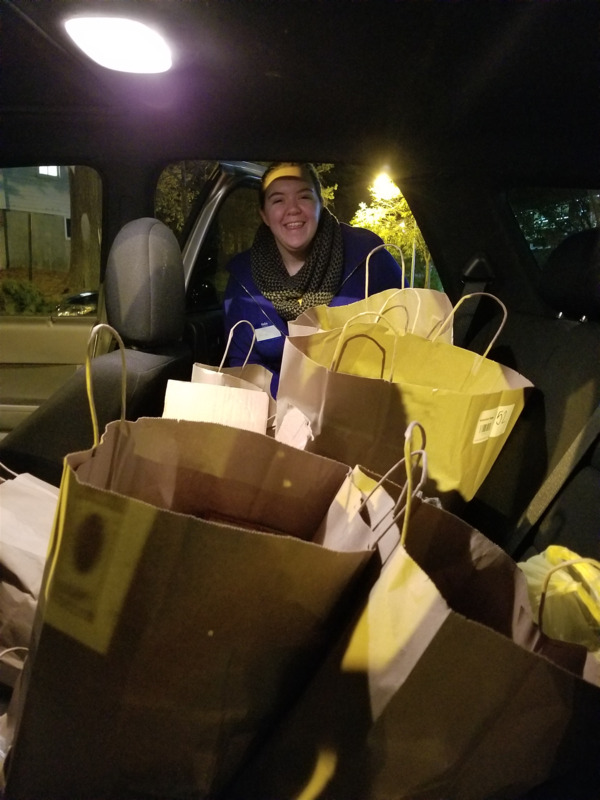 With the help of drivers from Durham Great Bay Rotary, the UNH Rotaract Club was able to fill 6 cars with food for this great organization that helps the community. Way to go Rotaract !! It was a great way to bring the local Rotary organization together with the UNH Rotaract students for a great cause ! !